The best Ethiopian restaurant available in Oakland. Addis Ethiopian Restaurant has been a Bay Area fixture for over a decade. Dedicated to bringing a genuine Ethiopian dining experience to our patrons, our dishes are prepared with authentic recipes that date back centuries. We hope your visit gives you a glimpse into the traditional Ethiopian home, where the people delight in pampering their visitors with comfort and courtesy. Though each dish on our menu has its own description, words truly cannot describe the exotic tastes you will savor. 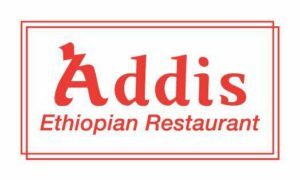 Located in Oakland’s North Temescal business district, Addis is the place for the finest Ethiopian dining experience in the Bay Area. Vegetarian spread rolled in injera. Gomen & Ayib rolled in Injera. Ethiopian Spices butter mixed with berbere and rolled in crispy injera. Created to provide the ultimate Ethiopian dinning experience, this plate comes adorned with a sampling of our meat and vegetarian dishes (serves two). A serving of our three Ethiopian meat specialties: YEDORO WOT | YESEGA WOT | YESEGA ALICHA. A serving of our Ethiopian vegetarian/vegan specialties: GOMEN | YEMESER WOT | ATER KIK | ALICHA DENICH. Chopped collard greens cooked in a mild sauce of onions, garlic, green pepper, and herbed oil. Lentils cooked slowly in flavorful berbere sauce, a blend of spices, and herbed oil. Split peas cooked slowly in a blend of spices, onions, garlic, turmeric, and herbed oil. Chunks of cabbage, carrots and potatoes cooked slowly in a blend of spices, onions, garlic, turmeric, and herbed oil. Green leaf lettuce, onions, and green peppers with house dressing. Generous portion of spaghetti prepared Ethiopian style. Served with green Salad. Green beans and carrots cooked in a mild sauce of onions, garlic, green pepper, and herbed oil. Tofu sautéed in Addis’s herbed oil with onions, garlic, and fresh herbs. Zucchini sautéed in tomatoes, onions, garlic, green pepper, and fresh herbs. Eggplant sautéed in Addis’s traditional red sauce. A vegetarian version of the Ethiopian signature Doro Wot. Ground split peas cooked slowly in flavorful berbere sauce, a blend of spices, and Addis’ seasoned oil (can also be cooked with herbed butter). Very lean and tender prime beef freshly minced and seasoned with mitmita and Addis’ seasoned butter. Served raw, rare, or cooked. Kitfo mixed with the right amount of Ayib and Gomen. Kitfo infused with diced red onions and green peppers. Injera tossed in a sauce of Quanta (Ethiopian style beef jerky) sautéed in berbere, tomatoes, onions, garlic, green pepper, fresh herbs, and Addis’s seasoned butter. Injera tossed in a sauce of tender pieces of lean beef sautéed in berbere, tomatoes, onions, garlic, green pepper, fresh herbs, and Addis’ seasoned butter. Lean cubes of beef cooked in berbere sauce with a blend of Ethiopian spices. Chicken & hard-boiled egg cooked in a flavorful & delicately spiced berbere sauce to create Ethiopia’s favorite dish. Lean cubes of beef cooked in a flavorful mild sauce with a blend of Ethiopian spices, onions, ginger, turmeric, and garlic. Tender pieces of lean meat sautéed in Addis’ spices, onions, garlic, rosemary, and fresh herbs. It can be made spicy as well. USDA Choice rib eye beef sautéed to perfection in Addis’ spices, onions, garlic, rosemary. Tender strips of beef marinated in Addis’ concoction of fresh herbs and grilled to perfection. Generous portion of choice tenderized meat prepared Ethiopian style. Served with Pasta & Selata. Injera tossed in a sauce of lean cubes of lamb cooked in a flavorful mild sauce with a blend of Ethiopian spices. Generous portion of breaded tilapia fillet prepared Ethiopian style. Served with Mesir Wot & Salad. Shrimp sautéed in Awaze, onions, garlic, peppers, in Addis’ seasoned butter and fresh herbs. Fish sautéed in mild Awaze sauce, onions, garlic, peppers, and fresh herbs. Ask about our special glass and bottle prices. Ask about or special glass and bottle prices. Ask about our special corkage prices.